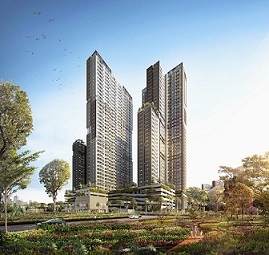 After a string of successes with previous ITCs, Sinar Mas Land established ITC Permata Hijau, located in one of Jakarta's elite residential areas. A shopping destination integrated inside an area where people come to work, trade and shop. ITC Permata Hijau was built as a super modern block with a touch of mediterranean style. The main lobby displays the statue of Dewi Sri, sculpted by the famous Balinese sculptor Nyoman Nuarta, that has becomes a landmark in the area. ITC Permata Hijau was created to provide a joyful ambience where children and adults alike can have fun together.